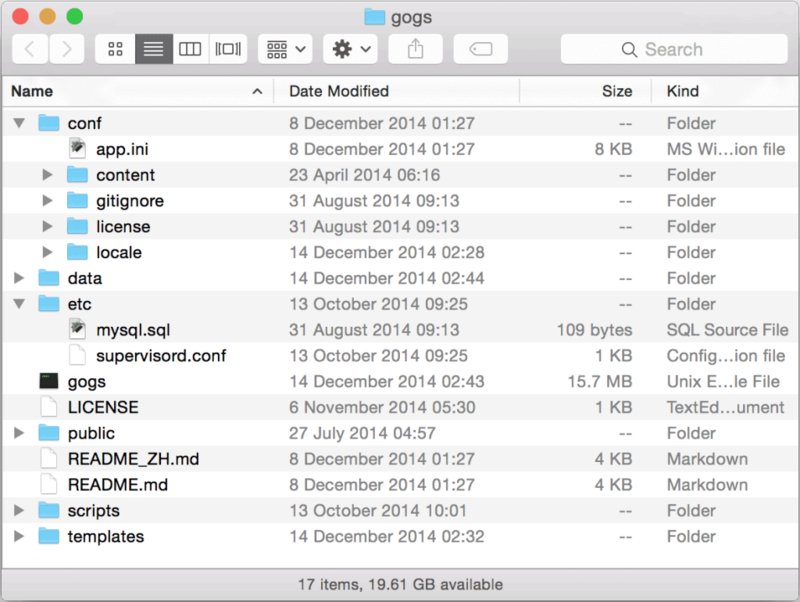 Gogs is distributed as a single statically linked binary plus a collection of configs and auxiliary files. All you need to do is download the distribution, unpack it and run gogs web to start the web server. 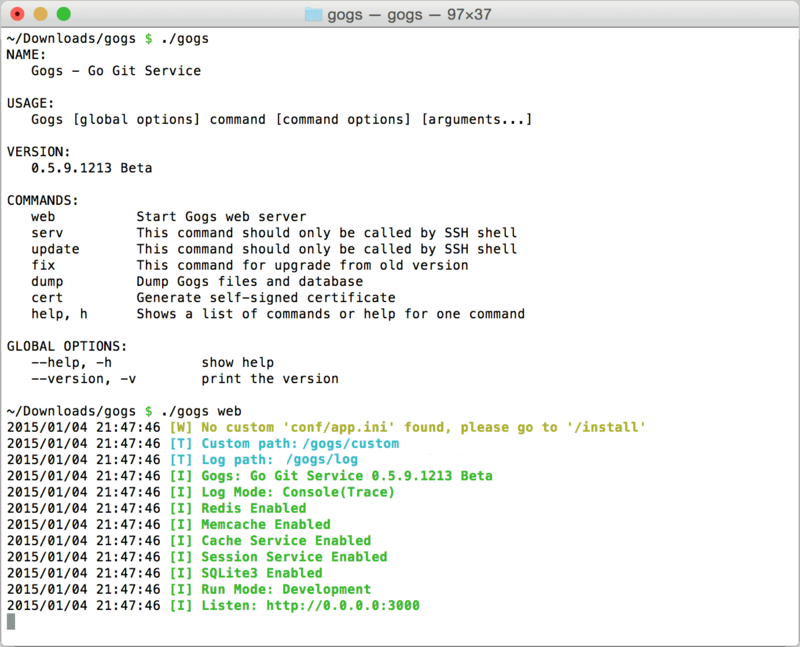 read documentation on configuring and running Gogs. 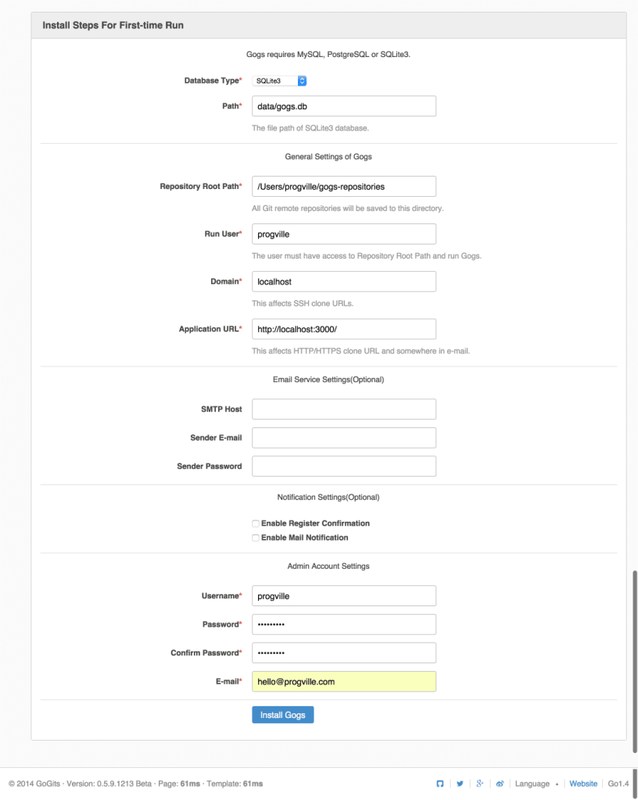 ; User must sign in to view anything. The first one disables public registration, making admin responsible for creating users manually if needed; the second one requires users to sign it to view any repositories. 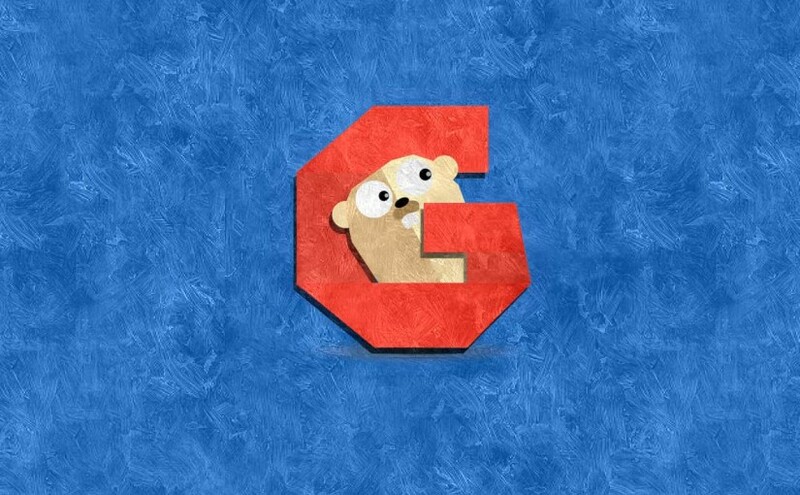 If you know how to use GitHub, you already know how to use Gogs! It reimplements most of the GitHub features: users, organizations, issues with labels and milestones, cloning via SSH and HTTPS. Unfortunately, one major feature that’s currently missing is pull requests, but Gogs developers plan to implement it in the future. There is a demo server running at https://try.gogs.io, feel free to register there and experiment with it. 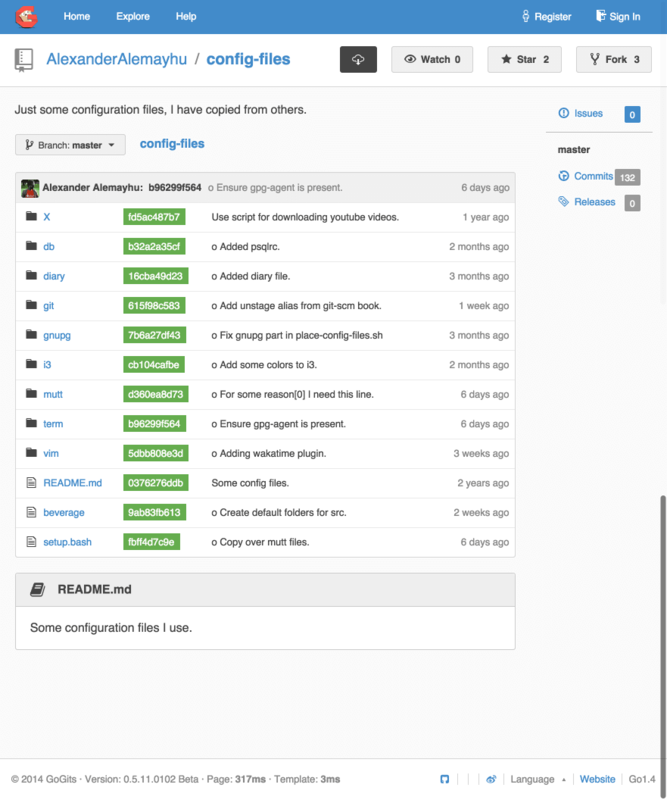 Click Explore if you want to browse existing repositories. A word of caution and a splash of cold water to cool off your excitement: Gogs recently had SQL injection vulnerabilities. They were fixed, but string concatenation in the SQL query with user supplied data is kinda unacceptable these days. I hope developers will take security more seriously.